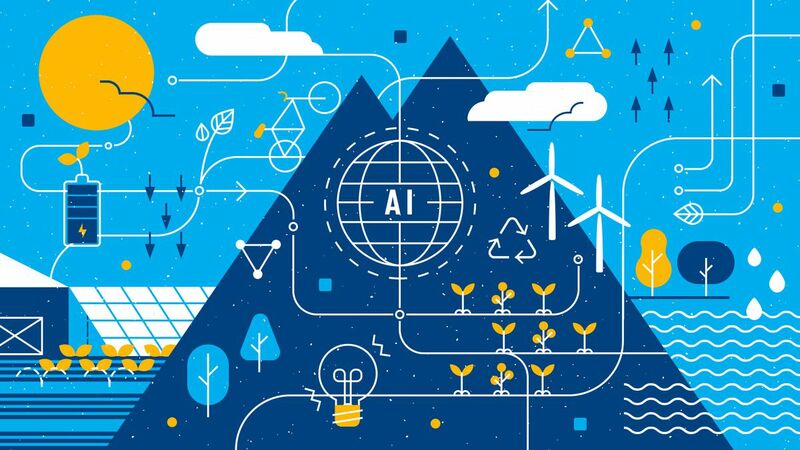 What Artificial Intelligence Means for Sustainability | "Global Possibilities"
Artificial Intelligence (AI) has the ability to complement human efforts by gathering and analyzing data to formulate solutions for various problems without human supervision. AI platforms learn new things and come to conclusions on their own, making them very valuable in a number of applications. And finally: It identifies patterns and correlations through its learning processes. With this operational sequence, AI learns about new things and comes to conclusions about how to improve them. This has a wide range of implications in the context of sustainability. 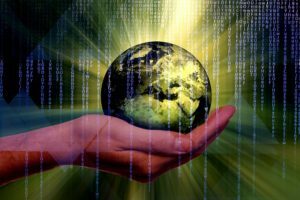 AI has the ability to learn what makes the world sustainable, and then figure out patterns and insights to improve efficiency. As such, AI has the potential to strengthen sustainability in nearly every field, and in all sectors of the economy. AI applications are wide ranging. From healthcare to automobiles to homes and beyond, the concept and technology can be featured in a number of different fields. AI’s contributions improve those fields by making them more sustainable and efficient, increasing productivity over time, and perhaps even immediately. Here, we take at look at different applications that suggest what Artificial Intelligence means for sustainability. The environment: Machine learning is currently being used by a number of businesses to remodel their management processes, to minimize input and maximize output. AI can help streamline business processes by eliminating waste. By harvesting and analyzing vast amounts of data, AI can help companies come up with more greener and efficient systems through recommendations for adjustments that yield better results. Automobiles: AI-powered self-driving cars are more than just some high-tech futuristic idea; they serve up better alternatives when it comes to emissions levels and safety. For example, according to a study by Nature, self-driven cars will likely reduce emission by up to 94% per mile in the United States by 2030. Further, rough estimates suggest that AI-powered autonomous vehicles will cut down the number of automobile accidents by more than a quarter. Reports show that, on average, they’re 90% safer than human-driven cars. Healthcare: AI is already being deployed in the healthcare field. AI-powered applications are being used to detect symptoms without the involvement of a health expert. With Machine Learning, patterns can be deciphered from patient data to help track symptoms of diseases from an early stage. For instance, Google’s Deep Mind has partnered with the National Health Service of the UK to prevent sight loss with an algorithm that detects symptoms early enough. Also, a group of researchers recently developed a machine-learning algorithm that detects signs of Alzheimer’s up to 9 years before the symptoms are full blown. These technologies can help diagnose, as well as offer remedies to, health issues, allowing people to access critical health care services early, without turning to a health care professional or health facility. Agriculture: AI also offers the ability to reduce waste and maximize output for farmers across all levels. 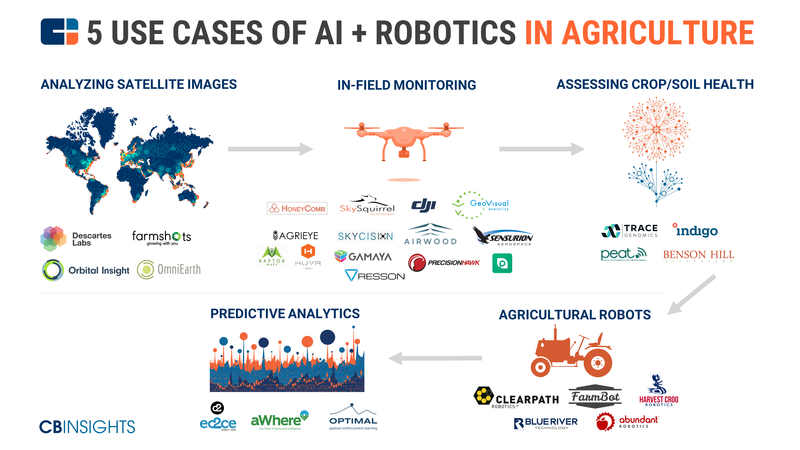 AI-based solutions for agriculture work by gathering data concerning environmental conditions and growth factors through sensor networks. It then draws conclusions from the data to warn of early signs of problems, and suggests ways of improving growth under certain environmental conditions. Homes: Several AI-powered solutions help minimize power consumption in the home. They offer power-saving suggestions about how best to use electrical appliances, and can regulate us of said appliances by determining when they should be on or off. AI-powered smart home applications can help us reduce our energy consumption by up to 15%. Nothing is completely concrete about the extent to which AI technology is applicable to these areas in practice. For example, there are mixed results from studies on the benefits of autonomous cars, with some studies suggesting that the mass-scale use of self-driving cars might bring about an increase in the number of trips, and ultimately increase — and not decrease — emissions. There’s also the concern that AI will eventually replace a sizeable portion of the human workforce with machines. However, the fact remains that AI will continue to devise ways of improvements, and that can only be a positive step. No technology is perfect from the outset, and AI is no different. With time, however, the expectations of this technology will likely be met. It’s important to note, though, that AI has its disadvantages. With such technology comes the possibility of leaving platforms more vulnerable to attack, causing the need for even more diligent security. It also has the potential to be a double-edged sword, given the fact that it can be taught anything — good or bad. As such, the possibilities to what it eventually becomes, and the possibility of negative fallout from security issues and others, are still quite open-ended, as they largely depend on what AI is fed.